We are business owners just like you. We understand and relate to the issues of employees, benefit costs, inventory, cash flow, day-to-day operations, we are uniquely aligned with you the owner, to help grow and manage your wealth. Bill graduated from the University of Wyoming in 1972 with a Bachelor’s Degree in Accounting. He went on to obtain his CPA certification in 1973 and later became Partner in the firm Praedre & Ebzery in 1976 in Sheridan, WY. Bill practiced accounting for over 30 years until he found a passion for investment management. In 2004, Bill founded the firm Cypress Capital Management and has grown the business into what it is today. He is an integral part of the Sheridan community, serving on various boards and foundations. Bill began as an Advisory Director for First Interstate Bank in 1983 and later became a Director on the First Interstate Bank Publicly Traded Board, in which he is still actively involved. Bill was also on the Sheridan College Foundation board for 18 years where he played a vital part in growing assets from $1M to $24M through fundraising and investing. Most recently, Bill was hand selected by Wyoming Secretary of State, Ed Murray, to serve on a five member team to pick and oversee the performance of investment committees who manage the State of Wyoming investment portfolios. In addition to serving on numerous boards, Bill currently serves as Trustee for four different Foundations, and was most recently asked to join the board of the Billings Medical Clinic which oversees $2 billion in assets. Matt began his career as a Financial Advisor with Merrill Lynch in Phoenix, Arizona where he specialized in wealth management strategies for individuals, business owners, and nonprofit organizations to help them meet their short and long term financial goals. After establishing a success book of business with his clients at Merrill Lynch, Matt chose to move back to his hometown of Sheridan Wyoming, citing a quality of life and family as the driving factors. 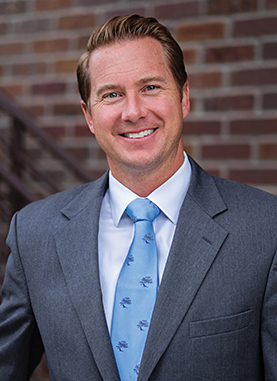 Matt merged his practice with his father Bill, a practicing CPA and Financial Advisor in 2008. Since that time, Cypress Capital Management’s assets have grown considerably and become a household name in Montana and Northern Wyoming. Matt is personally involved with junior golf throughout Wyoming, dedicated to growing and improving junior golf through volunteer service. 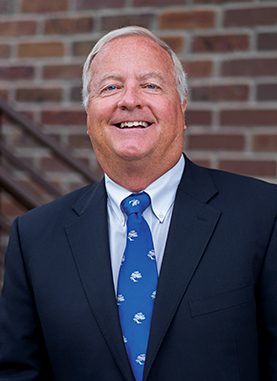 He is currently a board member of the Sheridan College Foundation, Sheridan Memorial Hospital Foundation, and the Wyoming State Golf Association. Matt enjoys spending time with his wife, Denise and two children, Evelyn and Carter. 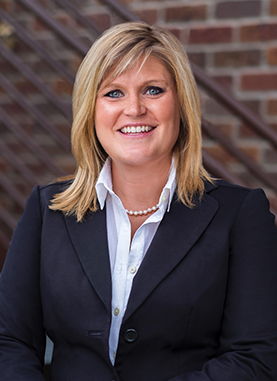 Kristin began her career in finance at SunTrust Bank in Nashville, TN as a Client Specialist in Wealth Management. It was there that she managed relationships with clients, assisted in their everyday needs as well as helping them to meet desired financial goals. Kristin began working for Cypress Capital Management in 2011 and quickly found a budding passion for researching and picking stocks. Bill and Matt mentored her in stock analysis and taught her the tools of portfolio management, and in turn she became a licensed Investment Advisor in 2014. Kristin is involved with a number of organizations throughout the community. She has a passion for reading and is currently the President of the Friends of the Library board. Outside of work, Kristin also enjoys running and spending time with her family. 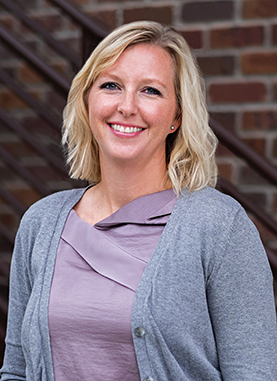 After graduating from Colorado State University in 2004, Stephanie began her career as an Adult Probation and Parole officer for the State of Wyoming. Stephanie worked for the State of Wyoming for over 11 years, however, she was ready for a career change. She began working at Cypress Capital Management in 2015 as the Chief Compliance Officer. Stephanie is currently in the process of obtaining her Compliance Professional certification through the National Regulatory Services. Stephanie is involved with a number of organizations within the community. Most recently, she joined the board of the Big Horn Education Fund. Outside of work, Stephanie enjoys playing golf and spending time with her husband and two children. Cypress Capital Management is a registered investment advisor located in Wyoming. Cypress Capital Management and its representatives are in compliance with the current filing requirements imposed upon registered investment advisors by those jurisdictions in which Cypress Capital Management maintains clients. Cypress Capital Management may only transact business in those states in which it is registered, or qualifies for an exemption or exclusion from registration requirements. Cypress Capital Management’s web site is limited to the dissemination of general information pertaining to its advisory services, together with access to additional investment related information, publications, and links. Accordingly, the publication of Cypress Capital Management’s web site on the Internet should not be construed by any consumer and/or prospective client as Cypress Capital Management’s solicitation to effect, or attempt to effect transactions in securities, or the rendering of personalized investment advice for compensation, over the Internet. Any subsequent, direct communication by Cypress Capital Management with a prospective client shall be conducted by a representative that is either registered or qualifies for an exemption or exclusion from registration in the state where the prospective client resides. For information pertaining to the registration status of Cypress Capital Management, please contact the SEC, FINRA or the state securities regulators for those states in which Cypress Capital Management maintains a filing. A copy of Cypress Capital Management’s current written disclosure statement discussing Cypress Capital Management’s business operations, service, and fees is available from Cypress Capital Management upon written request. Cypress Capital Management does not make any representations or warranties as to the accuracy, timeliness, suitability, completeness, or relevance of any information prepared by any unaffiliated third party, whether linked to Cypress Capital Management’s web site or incorporated herein, and takes no responsibility therefor. All such information is provided solely for convenience purposes only and all users thereof should be guided accordingly. Past performance may not be indicative of future results. Therefore, no current or prospective client should assume that future performance of any specific investment or investment strategy (including the investments and/or investment strategies recommended or undertaken by Cypress Capital Management made reference to directly or indirectly by Cypress Capital Management in its web site, or indirectly by a link to an unaffiliated third party web site, will be profitable or equal the corresponding indicated performance level(s). Different types of investments involve varying degrees of risk, and there can be no assurance that any specific investment will either be suitable or profitable for a client or prospective client’s investment portfolio. Historical performance results for investment indices and/or categories generally do not reflect the deduction of transaction and/or custodial charges, the deductions of an investment management fee, nor the impact of taxes, the incurrence of which would have the effect of decreasing historical performance results. Certain portions of Cypress Capital Management’s web site (i.e. newsletters, articles, commentaries, etc.) may contain a discussion of, and/or provide access to, Cypress Capital Management’s (and those of other investment and non-investment professionals) positions and/or recommendations of a specific prior date. Due to various factors, including changing market conditions, such discussion may no longer be reflective of current position(s) and/or recommendations(s). Moreover, no client or prospective client should assume that any such discussion serves as the receipt of, or a substitute for, personalized advice from Cypress Capital Management, or form any other investment professional. Cypress Capital Management is neither an attorney nor an accountant, and no portion of the web site content should be interpreted as legal, accounting or tax advice. To the extent that any client or prospective client utilizes any economic calculator or similar device contained within or linked to Cypress Capital Management’s web site, the client and/or prospective client acknowledges and understands that the information resulting from the use of any such calculator/device, is not, and should not be construed, in any manner whatsoever, as the receipt of, or a substitute for, personalized individual advice from Cypress Capital Management, or from any other investment professional. Let us help you manage your future.